You may be interested in moving your infrastructure to public cloud storage and services such as Microsoft Azure. This form of storage is becoming increasingly popular for its perceived ability to enhance efficiency and simplify your digital operation. Part of what has made Azure such a renowned option is the familiarity of the software – with a setup in common with other Microsoft products.But there is a great deal of misinformation on Microsoft Azure and this has led to the establishment of common half-truths or misapprehensions about the services. Whether you are interested in simple public cloud hosting or a more advanced personalized solution, Azure has the services to suit you.Here we take a look at six common myths about Microsoft Azure, examine the truths behind them – and why you should consider choosing Microsoft Azure.Myth 1: Azure is too complicated for my businessSome organizations are concerned that switching to Microsoft Azure would be too complicated and they lack the technical expertise to make it work. However, one of the major benefits of Azure is that if you are familiar with other Microsoft and Windows products you will find it actually relatively easy to use. The service has been designed to be suitable for businesses of all sizes, so there is no reason to assume you will be overwhelmed.Of course, not every company has the technical knowledge and it can leave owners worried that they will not feel in full control of their infrastructure. Thankfully, however, it is possible to work with specialists who can offer managed Azure hosting services. So, whether you need just a little help with Azure deployments or a fully managed package, there is something out there to suit your business.Myth 2: It’s a security riskWith rules and regulations such as the GDPR (General Data Protection Regulation) coming into force, it has never been more important to have powerful cybersecurity in place. This means that many businesses worry that their data is put at risk if they use services like Microsoft Azure. However, if this is a concern for you, it’s worth knowing that Azure holds the most comprehensive list of compliance certifications of any cloud provider.Microsoft is an industry leader in privacy protection with unique residency guarantees to protect data at all times. The system is designed to give customers complete confidence in their security. So ultimately you can have complete peace of mind that working with Azure can keep your business entirely secure and private. Source: Home SecurityMyth 3: The costs are prohibitiveIn some cases, businesses are put off the idea of switching to Microsoft Azure because they believe either that the cost of changing the infrastructure and working practice will be too high, or the actual ongoing costs are too expensive. Of course, it is natural to be want to be in complete control of finances but it can often be the case that businesses that are not willing to invest in infrastructure get overtaken by competitors who do.Clearly, this will depend on your business, but it should be noted that a switch to Azure can see excellent improvements in efficiency and productivity. Additionally, Azure is engaged in a pricing battle with other services - which ensure that the costs of bandwidth and storage are kept to a minimum.Myth 4: Efficiency is the only reason to switch to public cloud storageYes, there is no doubt that increased efficiency is a major benefit of using public cloud storage services with Microsoft Azure, but it is far from the only reason to consider making the change. One of the best reasons to choose public cloud storage is the increased innovation it allows – this might even top reason. It allows your developers to spend their time actually developing, rather than simply on the time-consuming maintenance and management. Azure actually handles many of the complex tasks for you, taking that burden away from developers and freeing them up. This could give them time to work on anything from machine learning or business-critical enhancements to your website. Myth 5: It’s incompatible with the open source software It is sometimes assumed that Azure is completely incompatible with popular open source software, which could make it difficult to implement alongside your existing infrastructure. If this was true it could make it potentially extremely challenging for those businesses that currently utilize open source software as it would mean not only changing over their system to Microsoft Azure but also changing many internal systems.Myth 6: Using the cloud effectively means ONLY using the cloudPerhaps you are concerned that if you make the move to Azure you are committing the whole of your business to the cloud. Some businesses do not fully understand how the cloud works and it can put them in a position where they never consider services such as Azure because they don’t think it would be appropriate for them. However, this does not need to be the case at all as Azure supports hybrid functionality, allowing you to keep on-premises infrastructure in place and simply work with Azure to offer additional capacity. The solutions can be completely bespoke and based around the needs of your company, so there is no reason to assume that you have to stick with a one-size-fits-all package. If you are still concerned about whether Microsoft Azure is right for you, it’s a good idea to speak to specialists, who have experience working with businesses like yours. Whether you would benefit from a hybrid system or hosting based entirely on the cloud, they will be able to advise you as to whether it is a good idea to make the switch. You may be interested in moving your infrastructure to public cloud storage and services such as Microsoft Azure. This form of storage is becoming increasingly popular for its perceived ability to enhance efficiency and simplify your digital operation. Part of what has made Azure such a renowned option is the familiarity of the software – with a setup in common with other Microsoft products. But there is a great deal of misinformation on Microsoft Azure and this has led to the establishment of common half-truths or misapprehensions about the services. Whether you are interested in simple public cloud hosting or a more advanced personalized solution, Azure has the services to suit you. Here we take a look at six common myths about Microsoft Azure, examine the truths behind them – and why you should consider choosing Microsoft Azure. Some organizations are concerned that switching to Microsoft Azure would be too complicated and they lack the technical expertise to make it work. However, one of the major benefits of Azure is that if you are familiar with other Microsoft and Windows products you will find it actually relatively easy to use. The service has been designed to be suitable for businesses of all sizes, so there is no reason to assume you will be overwhelmed. Of course, not every company has the technical knowledge and it can leave owners worried that they will not feel in full control of their infrastructure. Thankfully, however, it is possible to work with specialists who can offer managed Azure hosting services. 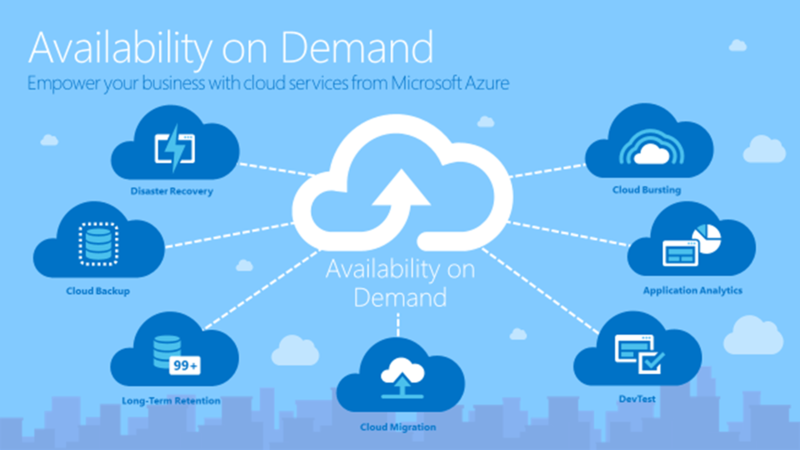 So, whether you need just a little help with Azure deployments or a fully managed package, there is something out there to suit your business. With rules and regulations such as the GDPR (General Data Protection Regulation) coming into force, it has never been more important to have powerful cybersecurity in place. This means that many businesses worry that their data is put at risk if they use services like Microsoft Azure. However, if this is a concern for you, it’s worth knowing that Azure holds the most comprehensive list of compliance certifications of any cloud provider. Microsoft is an industry leader in privacy protection with unique residency guarantees to protect data at all times. The system is designed to give customers complete confidence in their security. So ultimately you can have complete peace of mind that working with Azure can keep your business entirely secure and private. In some cases, businesses are put off the idea of switching to Microsoft Azure because they believe either that the cost of changing the infrastructure and working practice will be too high, or the actual ongoing costs are too expensive. Of course, it is natural to be want to be in complete control of finances but it can often be the case that businesses that are not willing to invest in infrastructure get overtaken by competitors who do. Clearly, this will depend on your business, but it should be noted that a switch to Azure can see excellent improvements in efficiency and productivity. Additionally, Azure is engaged in a pricing battle with other services - which ensure that the costs of bandwidth and storage are kept to a minimum. Yes, there is no doubt that increased efficiency is a major benefit of using public cloud storage services with Microsoft Azure, but it is far from the only reason to consider making the change. One of the best reasons to choose public cloud storage is the increased innovation it allows – this might even top reason. It allows your developers to spend their time actually developing, rather than simply on the time-consuming maintenance and management. Azure actually handles many of the complex tasks for you, taking that burden away from developers and freeing them up. This could give them time to work on anything from machine learning or business-critical enhancements to your website. It is sometimes assumed that Azure is completely incompatible with popular open source software, which could make it difficult to implement alongside your existing infrastructure. If this was true it could make it potentially extremely challenging for those businesses that currently utilize open source software as it would mean not only changing over their system to Microsoft Azure but also changing many internal systems. Perhaps you are concerned that if you make the move to Azure you are committing the whole of your business to the cloud. Some businesses do not fully understand how the cloud works and it can put them in a position where they never consider services such as Azure because they don’t think it would be appropriate for them. However, this does not need to be the case at all as Azure supports hybrid functionality, allowing you to keep on-premises infrastructure in place and simply work with Azure to offer additional capacity. The solutions can be completely bespoke and based around the needs of your company, so there is no reason to assume that you have to stick with a one-size-fits-all package. If you are still concerned about whether Microsoft Azure is right for you, it’s a good idea to speak to specialists, who have experience working with businesses like yours. Whether you would benefit from a hybrid system or hosting based entirely on the cloud, they will be able to advise you as to whether it is a good idea to make the switch. Annie Button is an independent writer and a recent University graduate who enjoys sharing her technical knowledge through her writing. If you've decided that cloud hosting is the way to go, check out this blog from Wirehive which explains why Microsoft Azure is the best option for you.